This entry was posted on November 2, 2015 by JCardillo. This entry was posted on November 3, 2015 by JCardillo. www.VoiceAmerica.com , The Self-Improvement Show, Dr. Irene Conlan. 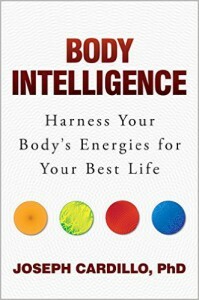 4:00 pm - 5:00 pm www.VoiceAmerica.com , The Self-Improvement Show, Dr. Irene Conlan. This entry was posted on November 5, 2015 by JCardillo. Radio America Now, Barb Adams, Live Internet and on affiliates: Tune-in Radio Networks and BOOST. 11:00 pm Radio America Now, Barb Adams, Live Internet and on affiliates: Tune-in Radio Networks and BOOST. This entry was posted on November 8, 2015 by JCardillo. This entry was posted on November 9, 2015 by JCardillo. This entry was posted on November 18, 2015 by JCardillo. This entry was posted on November 19, 2015 by JCardillo. This entry was posted on November 23, 2015 by JCardillo. This entry was posted on November 30, 2015 by JCardillo. This entry was posted on December 2, 2015 by JCardillo. This entry was posted on December 3, 2015 by JCardillo. This entry was posted on December 17, 2015 by JCardillo. This entry was posted on December 23, 2015 by JCardillo.